BigPicture LIVE Feed. What’s new? BigPicture 7.5 is coming, with all-new Board 2.0 and Gantt chart 2.0 and the full-scale SAFe® support. The features of BP 7.5 discussed. What’s new in BigPicture Enterprise 2019? BigPicture has long been a Jira app, but this changed in 2018. One thing is that our Gantt chart was made available for Trello in 2018. Another thing is that you’ll soon be able to manage both Jira and Trello tasks within a single BigPicture program. Unite Jira and Trello under one roof, not just integrate, says the CEO of SoftwarePlant. 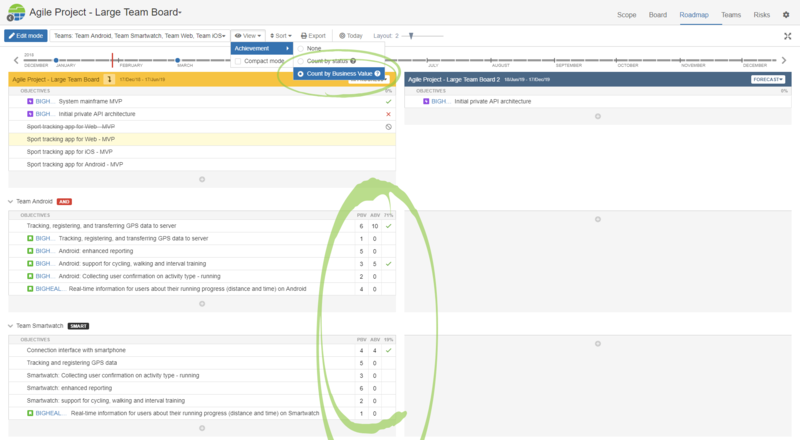 The new compact Resources pane below the Gantt chart – check docs. Until recently you’d have to switch over to the dedicated Resources module, which, quite obviously, remains available in BigPicture. You can now map the synchronization of Start/End dates between BigPicture and Jira for each Jira project independently. Why? Having multi-level hierarchy across your projects? Sub-sub-sub-tasks? If you use agile/kanban, you probably don’t need the Gantt chart, but you do need the Scope module. Or: are you in the initial stage of your project? The Scope module is the place to decompose your epics into smaller chunks of work. In 2018 we released the SAFe-compliant roadmap for Jira Server. So the Board in BigPicture is finally what it should have always been: an operational management tool, keeping in sync with Jira. The new Remaining capacity feature. Highly requested by our users! It works in the heatmap mode (green – a resource is underallocated, yellow – properly allocated; red – overallocated). Make the resources chart super readable with the new Show/hide feature. Rather than having zeros across the chart, hide fields you’re not using (Menu > View > Show allocation / Show capacity / Show remaining capacity). You can also quickly hide rows with individual tasks, to check how under- or overallocated a team is in a given day, week or month. The brand new Skill panel and Skill widget. Starting 2018 the risk card is configurable – more on that. We’ve added the Heatmap mode. To enable automatic coloring of risk cards click Menu > View > Heatmap mode. The tabular Risks register, with configurable column set, was added to BigPicture. It’s location is directly below the Risk matrix (Menu > View > Show table). You can now add a new risk card by clicking the “+” on any container of the risk matrix. We are one of the first Atlassian Marketplace vendors to have gotten the Data Center approval. BigPicture and BigGantt are Jira Data Center ready.